Fully integrates with select Garmin chartplotters. You get excellent close and long range target detection ranging from 20 feet to 48 nautical miles, even in fog or rain. It provides a high resolution image and high antenna gain to pick out targets at a distance. The result is a radar that paints a clear, concise image of the shoreline, other vessels and impending weather right on your Garmin chartplotter. Its 8-bit true color imagery helps discriminate large targets from small ones and enhances target separation. Radar data is overlaid onto charts (autopilot or heading sensor recommended). Low power consumption, instant turn on and no delay from warming up as with magnetron radars. 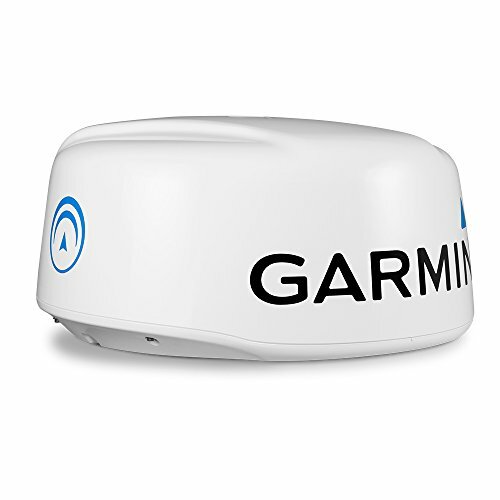 If you have any questions about this product by Garmin International, contact us by completing and submitting the form below. If you are looking for a specif part number, please include it with your message. Humminbird 410030-1 Helix 12 Chirp SI 800x1280 DSP Sonar with GPS & Temperature, 12.1"